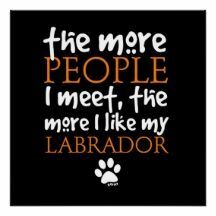 The Labrador Retriever is gentle, intelligent and the perfect family dog, for the right family of course. They require exercise and training, Labs are known for their great skills as retrievers in the hunting field, but also make excellent service dogs, seeing eye dogs and more. Retrievers will thrive with an active family. They have huge hearts and are willing to please their masters. Like with any breed, do your homework! Know the breed and understand what they need to make sure they fit in with your lifestyle. Do you have a Lab at home? Share your pics and why you chose a Lab with us! Love your pic of the week. Rocky is a Lab X, first I have ever had in the family and he is a very loving boy. He is always happy but especially when he has a chance to take laundry to the laundry room or pick something up and bring it to you. Loves to be my foot stool :) too. Since I have had my hip surgery he has been very attentive and lays right where I can prop my foot up on him. He loves praise and gets it quite often. 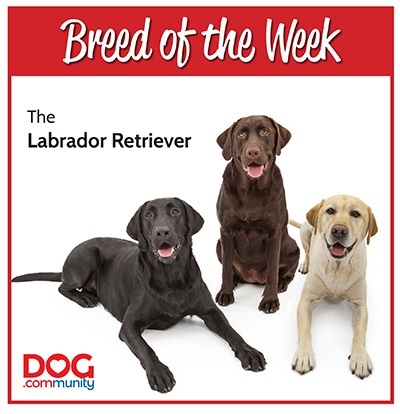 Yup i also have Labrador Retriever and i'm really happy to see your images and much happy to see Labrador Retriever is winning the bread of the week award.